A look at some of the top runners and teams for the cross country season. The senior was a first-team all-state pick. He finished sixth at the Class 4A state meet and fourth at the Sunset Region meet. He had eight top-10 finishes. The junior placed fourth at the Class 2A state meet and second at the Southern Region meet. He had six top-five finishes and made the all-state second team. The senior finished sixth at the Class 4A Sunset Region meet and 16th at state. He won the UNLV Invitational and made the all-state second team. The senior was second at the Class 4A Sunset Region meet and fifth at state. He won the Falcon Invitational and was a member of the all-state first team. The junior was a second-team all-state selection. He placed fifth at the Class 4A Sunrise Region meet before finishing 17th at state. He had five top-10 finishes. The senior was third at the Class 4A Sunset Region meet and 11th at state. 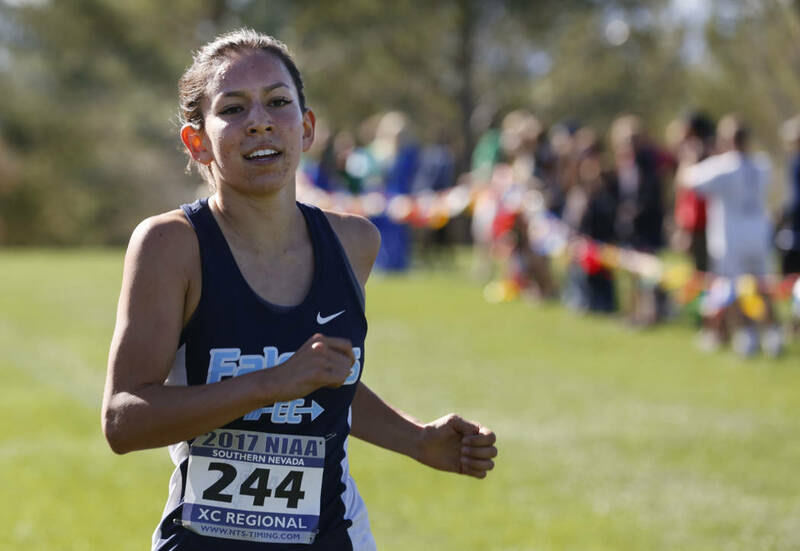 She had six top-five finishes, including a win at the Lake Mead Invitational, and made the all-state second team. The senior was a second-team all-state pick after winning the Class 4A Sunrise Region meet with a time of 20:01 for 3.1 miles. 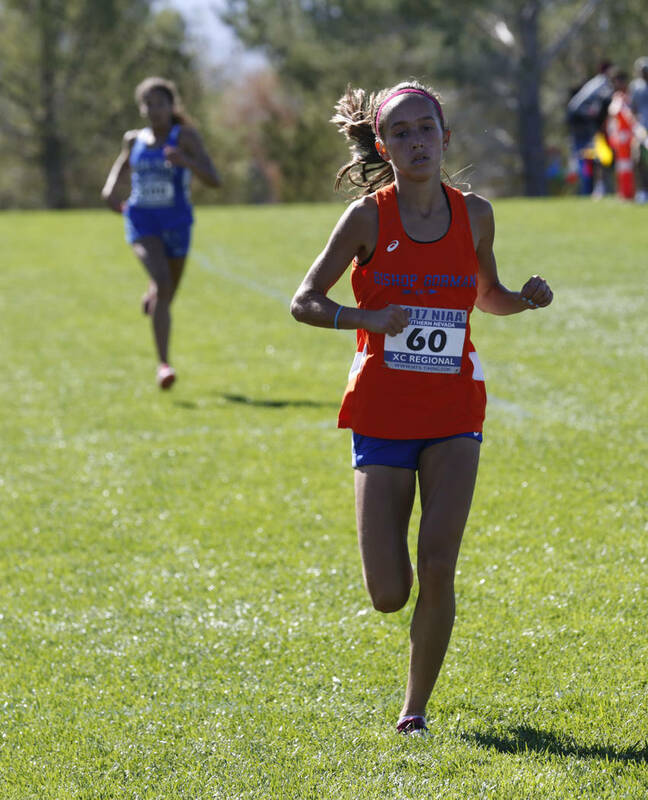 She was 20th at state and finished in the top three in seven races, winning three. The junior was a first-team all state pick after finishing second at the Class 3A state meet and winning the Southern Region title. She won five races and finished second twice. The sophomore finished second at the Class 4A Sunset Region meet and eighth at state. She had nine top-five finishes, including four wins, and made the all-state second team. The junior placed fourth at the Class 4A state meet and third at the Sunrise Region meet. She had 10 top-five finishes and made the all-state first team. 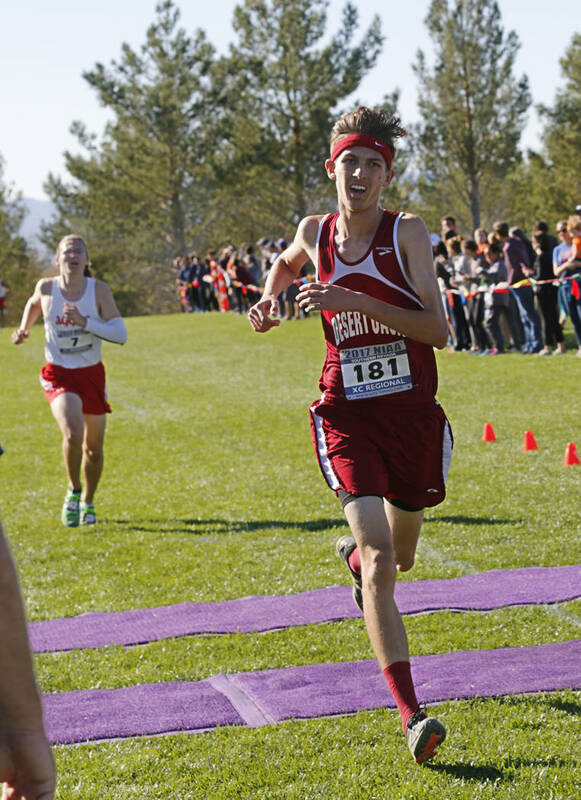 The Aggies placed second at state last season and return top-10 finisher Noah Ayala. The Bulldogs didn’t have a senior among the seven runners that finished second at the Sunset Region meet last season. The Falcons were third in the Sunrise Region last season and return four of their top seven runners. The Gators were the Sunrise Region champs, but graduated their top three finishers from that meet. The Trojans won the Class 3A Southern Region title, but must replace individual champion Bryce Odegard. The Gaels finished second in the Sunset Region last fall. The defending Class 4A state champs return two runners who placed in the top 13 at state. The Cougars won the Southeast League and Sunrise Region meets last season. The Falcons were second in the Sunrise Region last season and return individual champion Myna Buckley. The 2017 Class 3A Southern Region champs make the jump to 4A this season.